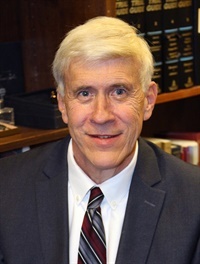 A graduate of University of Texas at Austin, with honors, Barkley went on to Texas Tech University School of Law, in Lubbock, Texas, where he earned his Juris Doctor degree. Since then, he has practiced law in Dallas and Collin Counties. First recipient of the Dallas Bar Association’s Probate, Trusts & Estates Section Honorable Nikki DeShazo Pro Bono Award (2010) for enhancing human dignity by delivering or improving Pro Bono legal services.